Terry Breverton was educated at Manchester and Lancaster universities, and is a Fellow of the Institute of Consulting and a Fellow of the Chartered Institute of Marketing. He has spoken on Wales at the North American Festival of Wales at Vancouver and Washington and across Wales, given academic papers in Paris, Thessaloniki, Charleston and Seattle and taught in Milan and Reggio Emilia. He has given the Bemis Lecture at Lincoln, Massachusetts and been awarded a Helm Fellowship at the University of Indiana. Breverton has appeared in several television documentaries about the Welsh, including in Los Angeles, and has worked and consulted in over thirty countries. His books have been published across the world, and translated into over twenty languages from Polish and Turkish to Chinese and Japanese. Breverton played rugby until he was 38, and says his proudest achievement is being on the committee of Llanybydder Rugby Football Club. 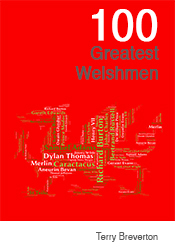 Breverton’s 100 Great Welshmen (2001) was a Welsh Books Council Book of the Month reviewed as ‘a fascinating compendium’ with ‘painstaking research’. His second edition of 2006 was called: ‘a veritable goldmine of a book’; and ’a massive treasure chest of facts and figures which no collector of books on Wales can overlook’. 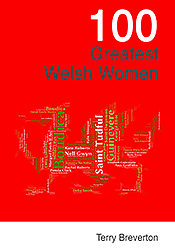 100 Greatest Welsh Women – Did you know that the Britons can boast hundreds of female saints, one of whom has the oldest continuously worshipped well in Europe, as well the female Valentine, Arthur’s queen, an unknown Queen of England, the first woman poet, the inspiration for The Bible Society, the real ‘Lady of the Lamp’, the ‘First Lady of the Confederate States of America’, the tutor to the Children of the King of Siam, the first British female physician, ‘one of the finest painters of our time and country’, the pioneering bacteriologist responsible for pasteurised milk, a leading actress for eight decades, the ‘Queen of Hollywood’, the founder of a global fabric empire, ‘the most successful British singer, a fashion icon who gave us the mini-skirt, the ‘Best Female Singer in the Last Fifty Years’, one of the 20th century’s greatest sopranos, the first folk artist to play Carnegie Hall, the Greenham Common martyr, and the most successful Paralympic athlete in the world? “Breverton is unashamedly and proudly nationalistic. In his introduction he writes, ‘This book is not meant as an academic tome, as its purpose is to show tourists the type of people the Welsh are, and also to tell the Welsh themselves what they are not taught in schools.’ He then goes on to lament, ‘the utter ineptitude of Welsh political organisations, placemen quangos and a remote, uncaring London government, over the last five decades, has depressingly failed to secure a reasonable future for Wales. He is justly proud of his Welsh heritage and, as with many an enthusiast, he wishes to share his passion with others. He has undoubtedly succeeded with this and put patriotism back into the reader’s spirit and maybe envy into the tourist’s heart. It is important to keep this form of passive nationalism alive in order to keep the culture and language of Wales flourishing.” – Norma Penfold : A review from www.gwales.com, with the permission of the Welsh Books Council.